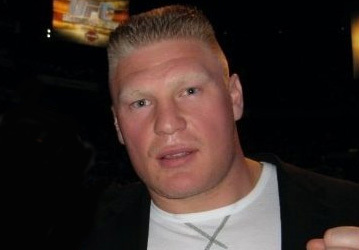 “UFC 121: Lesnar vs. Velasquez” fight week is finally upon us. As customary with every Octagon event featuring heavyweight champ Brock Lesnar, the pay-per-view broadcast comes with all the pre-fight promotional bells and whistles. Thankfully, “Countdown to UFC 121” debuts tonight on Spike TV to ensure the hoopla machine keeps churning. In addition to the former All-American wrestler, the half hour-long documentary will also showcase his challenger and arguably most formidable opponent to date in Cain Velasquez. The highly popular show will also take fans into the lives of co-main event fighters Jake Shields and Martin Kampmann. Shields recently abandoned his Strikeforce middleweight crown to swim in the Octagon’s pool. He’ll be riding a 14-fight win streak into his shootout with the Dutchman. A light heavyweight scrap between Matt Hamill and his former “The Ultimate Fighter 3” coach Tito Ortiz will also receive special attention in tonight’s show. UFC 121 will be popping off this Saturday inside the Honda Center in Anaheim, California. “Countdown to UFC 121” starts tonight at 11:30PM ET/PT on Spike TV. If you forget to set your DVRs, the network will replay the show on Wednesday (6:30PM ET/PT), Thursday (1:30AM ET/PT), Friday (2:40AM ET/PT) and Saturday (1AM ET/PT).